The rapper will appear with Eminem - who has been nominated for 10 prizes at this year's ceremony - on stage, where they will perform an as-yet-unknown duet. 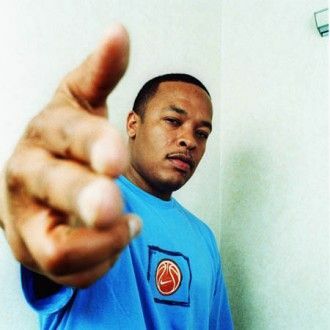 Dre, real name Andre Romelle Young, has not released a studio album since 1999, but is nominated under the Album of the Year category as producer on Eminem's latest LP 'Recovery'. In a promotional video about the star for the 53rd annual Grammy Awards, Eminem's life struggles and love of music are highlighted. A voiceover reveals: "Music is a last chance, a last hope, a last shot. Music is turning demons into demos into multiplatinum monsters. Music is battling through the haze." Eminem and Dr. Dre's collaboration continues a tradition of unique performances on the awards show. Last year, eccentric pop star Lady Gaga performed a duet with British musician Sir Elton John. This weekend Gaga will perform her debut single 'Born This Way' from her third album at this year's show, while Christina Aguilera, Jennifer Hudson, Florence Welch and Gwyneth Paltrow are also scheduled to take to the stage.